Big Sky Montana, MT - Welcome! Midway between Bozeman and West Yellowstone lies the renowned Big Sky, Montana. 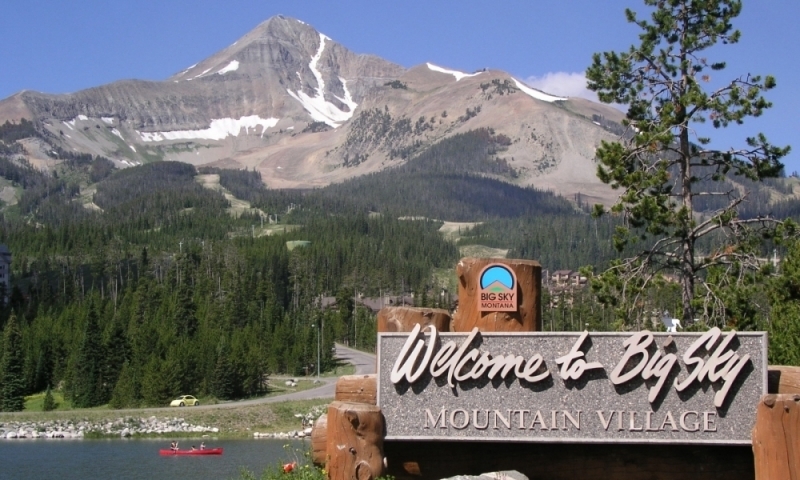 A quaint town of 1,245 year-round residents, Big Sky offers fun for every outdoorsman with first-class fly fishing, hiking, biking camping, rafting, wildlife viewing, and of course, skiing. A fun and entertaining community located in a beautiful outdoor setting, Big Sky offers something for everyone. Small town hospitality meshes with big city amenities in this mountain resort. Year-round activities are fun for the entire family. Big Sky is located immediately west of the Gallatin River and along U.S. Route 191. If you plan to fly to the area, the closest airport is 42 miles away in Bozeman, Montana. The airport is served by Delta, Northwest, United, Alaska, and Horizon airlines. Big Sky is also only 19 miles away from the Yellowstone National Park boundary. However, it is another 30 miles to the west entrance gate in West Yellowstone. Besides the great outdoors, Big Sky has all the amenities of a small town with big city ideals. There are over 25 restaurants and eateries to satiate the hunger and thirst created after a long hike, and over 40 shops that provide everything from groceries to gifts to gear. Big Sky also has a nice selection of spas ready to cater to your every whim when you feel the need to pamper yourself. The Mountains of powdery snow attract many visitors to Big Sky. The Big Sky Ski Resort yields 3600 acres of skiable terrain and boasts the country's longest vertical run at 4,350 feet. If downhill skiing or snowboarding is not what you're after, Big Sky has excellent cross-country skiing and snowshoeing trails. Sleigh rides, dogsledding, and snowmobile tours are also available. Because Big Sky is in close proximity to Yellowstone National Park, a lot of the terrain is similar, making for great summertime hiking, camping, and biking. Expert guides are always ready to be of service, although most of the trails are publicly accessible and easy to enjoy on your own. 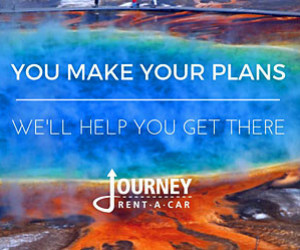 Due to its location at the mid-point between West Yellowstone, MT and Bozeman, MT, you can travel about an hour either north to Bozeman or south to Yellowstone National Park. There are many bigger city attractions in Bozeman to include museums, historical sites, and theaters. Heading south takes you to the west entrance to Yellowstone National Park. To travel to Bozeman from Big Sky, just get on US Route 191 and head north. Along the way, you will travel through beautiful forests with small meadows at various intervals. Roll down the windows in the summer and enjoy the crisp mountain air.